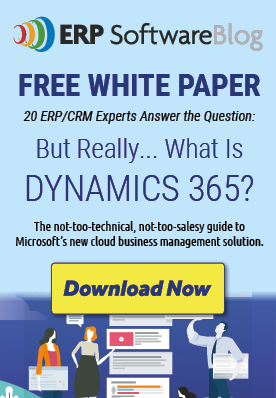 This goes hand in hand with the number one rule of selecting enterprise resource planning (ERP) software…know your business! There are too many ERP solutions out there to choose from if you don’t know your market size. When determining the type of ERP software to use for your business, the first thing to consider is the size of your business. Most software partners will define a midmarket business as having between 100 to 999 employees. Split that difference and you have lower midmarket and upper midmarket. Although revenue is not often a characterizing indicator, businesses with over a billion in revenue are considered the enterprise market, not midmarket. Now consider your geographical footprint. Do you have more than one office, warehouse, or distribution facility? Having facilities in multiple areas, or even multiple countries, will require ERP software that can manage multi-currency and exchanges, as well as multilingual capabilities. With many business locations, you might also handle separate general ledgers for different entities. In this case, your ERP software should be able to manage separate accounting functions, but also be able to roll-up financials so that you can obtain a full financial view of your entire corporation. After considering the size of your business and revenue, outline all of your business operations. You will want to choose ERP software that can capture all of your critical data. 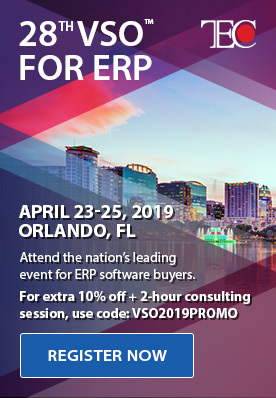 Most ERP software will manage financials, supply chain, manufacturing, project and service management, customer relationship management, and other business operations. You can work with your software partner to choose the functionality that best matches your business today. ERP software should also be able to grow and change as your business grows and your needs change. A flexible, scalable software will encourage greater user adoption and long-term use. As soon as ERP software doesn’t coordinate with business operations, employees will abandon it for other software, quickly rendering your ERP software ineffective. There are ERP software solutions designed for small companies, midmarket companies, and enterprise companies. It’s as simple as choosing the right tool for the job. Choosing ERP software that is not comprehensive enough or that has too many bells and whistles will be ineffective and cost more in the long run. Contact Sherwood Systems for guidance on choosing the right ERP software solution for your specific business needs.